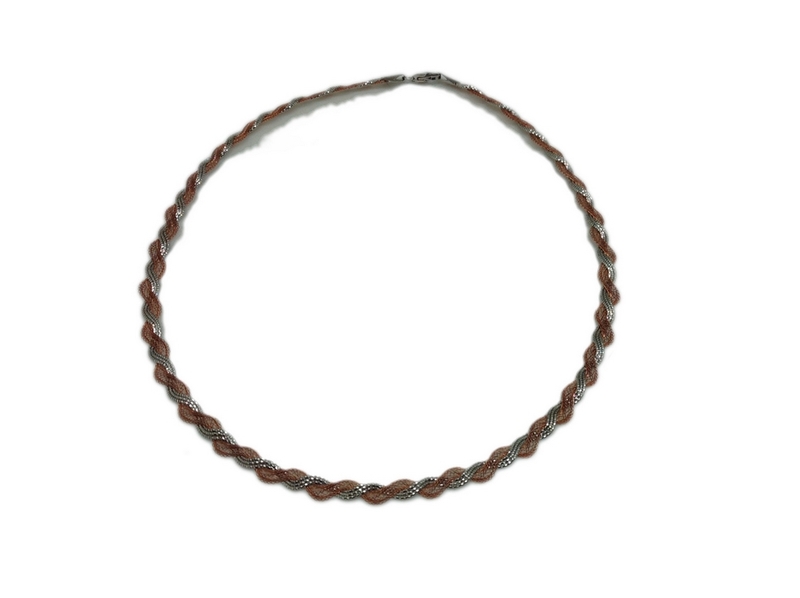 Brand LINEARGENT CHOKER. SEMI-RIGID, BICOLOUR SILVER WHITE AND PINK. DRAWING twisted measures 42 CM.